We talked in the last newsletter about the benefits of keeping your TimePilot IV software updated to the current version. We issued an update at the start of June that makes updating even more valuable. 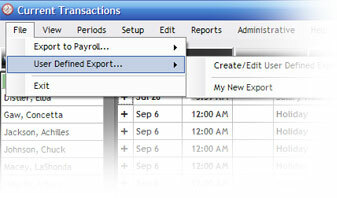 The feature is called a “User-Defined Exports.” First we’ll show you how to see if you have the update. And if not, how to get it. Then we’ll show you how to set one up. Start TimePilot Central and enter your log-in information. Then click the “File” menu. If the second menu item is “User Defined Export…,” congratulations, you already have the update and you can click the link below to go to the web page that explains how to set it up and use it. 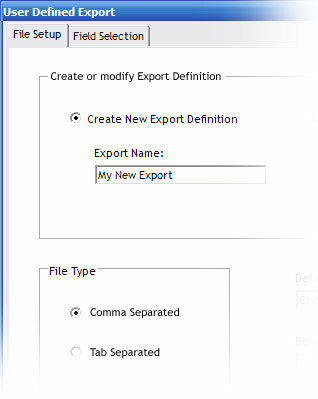 If you don’t see “User Defined Export” as a menu item, you need to update your software. It’s an easy process that won’t disturb your employee setups or the clock-in/clock-out data you’ve collected. 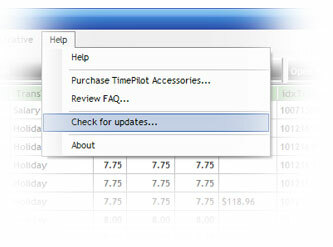 In TimePilot Central, click the “Help” menu, then click “Check for Updates." Follow the instructions that appear to complete the process. Click here to see how to set it up and how to use it.